Roller coaster games draw in players with the prospect of building a gravity-defying monster ride that no engineer or safety regulator would approve. Roller Coaster Factory has smaller ambitions. The track-building options are tightly limited. Rather than plotting points for your coaster track and creating an interesting route with curves and banks, you can only select from one of five types of pieces – hills, curves, curving hills, loops, and straight lines. The finished coaster will almost always snake along the cardinal directions. Creativity is difficult if not discouraged. Your ride rarely picks up speed, no matter how many times the game assures you the coaster runs at 35 MPH (which is about as fast as they can get). Coasters like these are no doubt fun to ride in real life, but in a format meant for maximal excitement, they’re a letdown. The game looks decrepit, even for something released in 2000. It comes from the boxiness, like the rigid cars, the unnaturally straight-angled track pieces, the brick slab shape of the ride queue building, or the thoughtless layout of the theme park, with concrete paths and palm trees scattered around almost randomly. One of the few touches to the presentation is the optional night mode, which darkens the background and adds a noticeably fake-looking starfield. Once you finish testing your coaster, you’re arbitrarily scored for the ride’s “thrill level” and overall quality with no indication of how you earned it. I guess you’d be able to compete against other people to make higher-rated coasters, but without any interesting restrictions or track pieces, that just means making long, dense rides. That’s all there is to say. There isn’t much here. Without comparing it against another roller coaster game, you can still tell the difference. There’s no joy or spirit. That’s the distinction of something hollow. It feels like an obligation, like a generic store-brand product. It was published by a company called ValuSoft, a name implying Roller Coaster Factory was meant to be done on the cheap. I say cheap not to mean thrifty, small in scope, or working with a tiny budget, but indifferently crappy. It is the minimum roller coaster game, missing a sense of purpose except to be sold at Office Max. 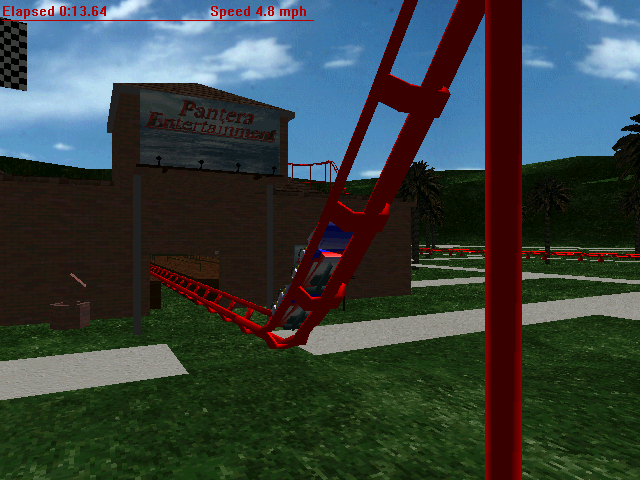 Pantera Entertainment, the creators of Roller Coaster Factory, may have just done what they could under constraints. They did improve over time. The company’s later, similar roller coaster games like Roller Coaster Factory 2 and Hyper Rails actually seem to have fun with the idea. They have a little more life to them. 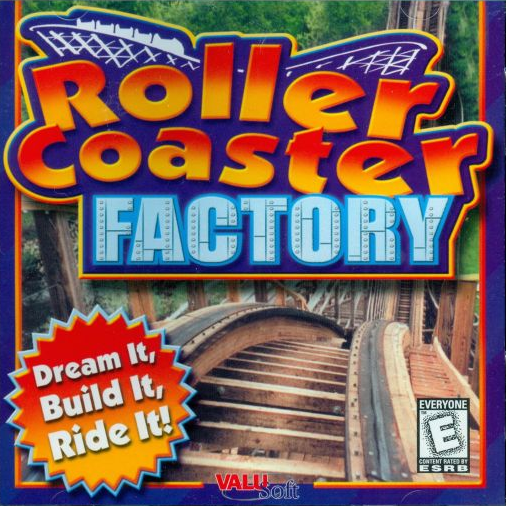 But the original Roller Coaster Factory became their best-selling game, shipping 150,000 copies. So, mission accomplished. Hahaha, we had a very similar experience regarding this game! Know where I can download this game? I used to have it on cd-rom but can’t find it anywhere. I miss this game, the nostalgia.